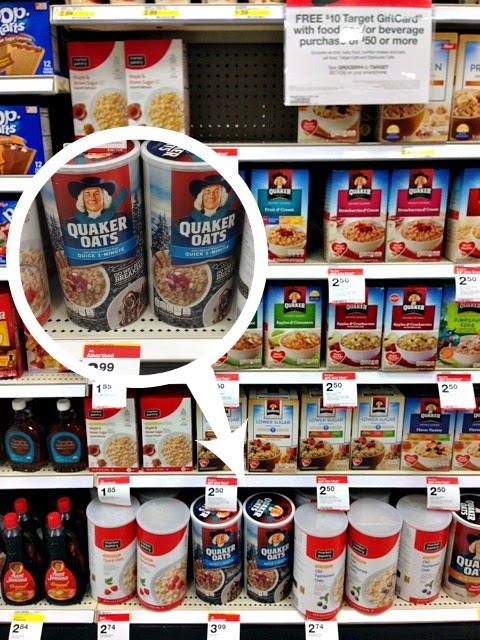 This shop has been compensated by #CollectiveBias , Inc. and Quaker. All opinions are mine alone. So each and every holiday season, I strive to create a new chocolaty, minty sweet treat that I just know that he will love. 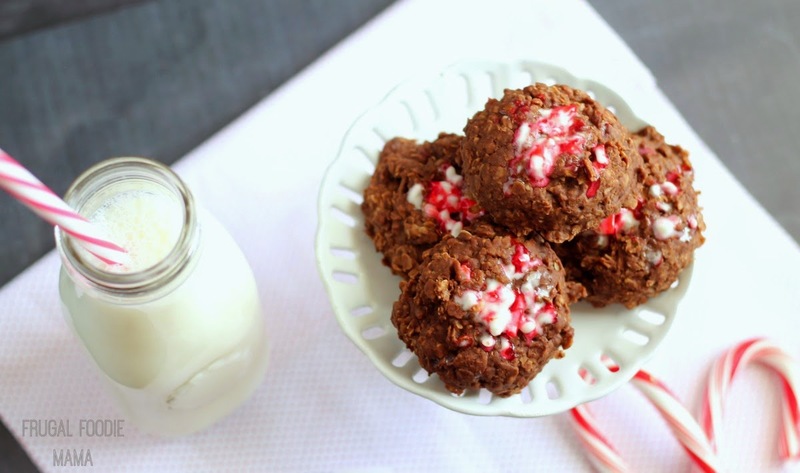 But this year I took it just a tiny step further and added his favorite flavor combo to one of his all-time favorite cookies- no-bakes! In a large saucepan, combine the sugar, butter, milk, and cocoa. Heat over medium-high heat until the butter is melted, stirring often. Bring to a boil and allow the mixture to boil for 3-5 minutes. 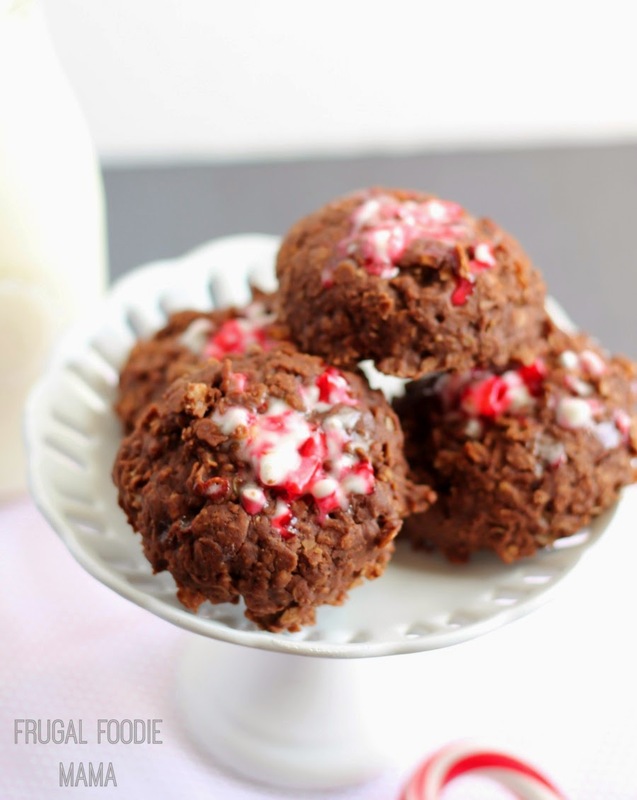 Remove from the heat and immediately stir in the peppermint extract and chocolate chips until the chips have melted. 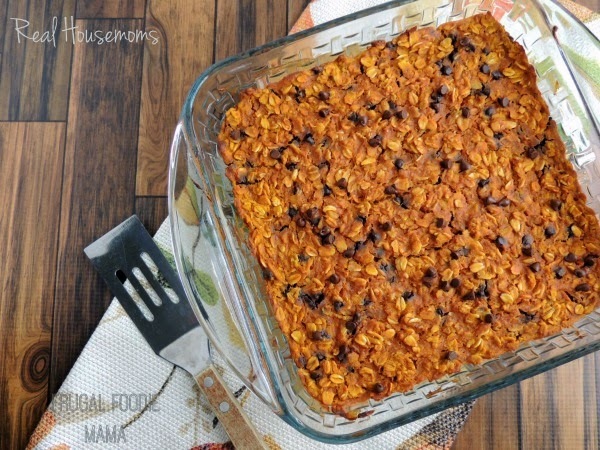 Mix in the quick oats until well coated. 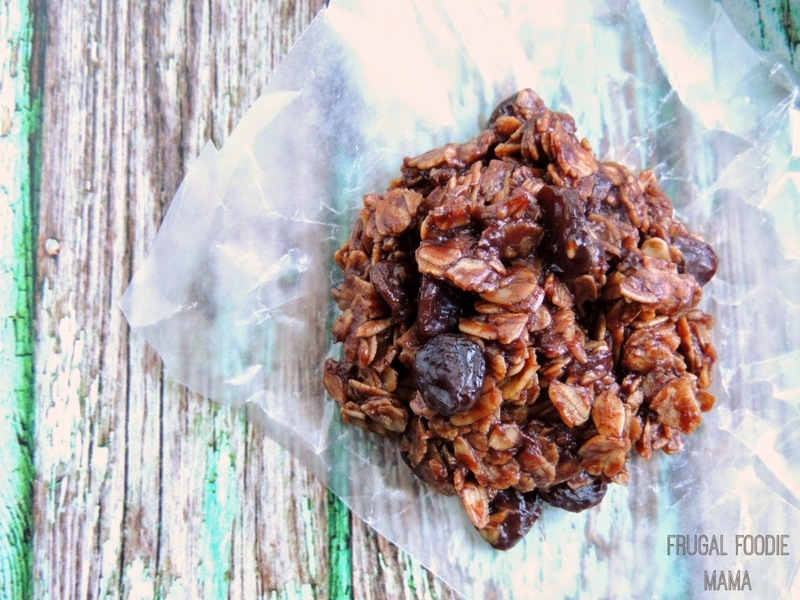 Drop by rounded mounds onto a sheet of waxed paper. 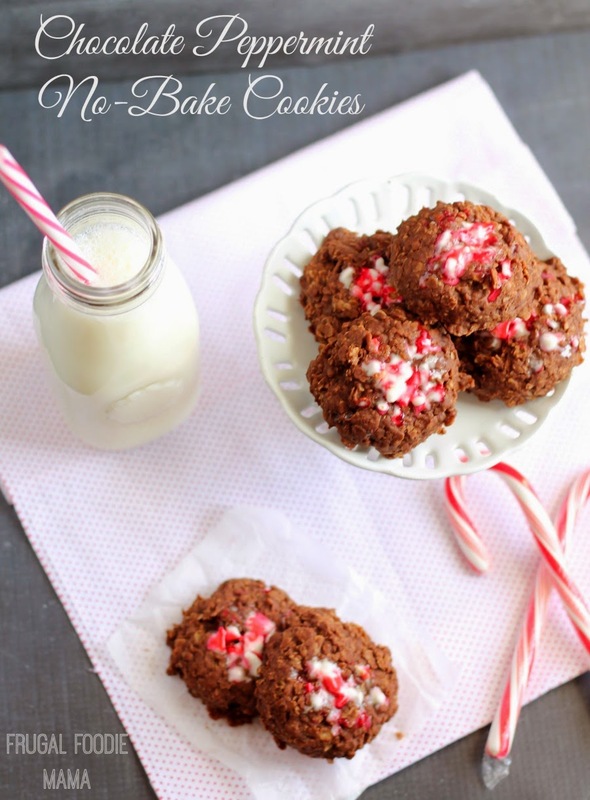 Immediately sprinkle with the crushed candy canes and press them gently into the tops of each cookie. 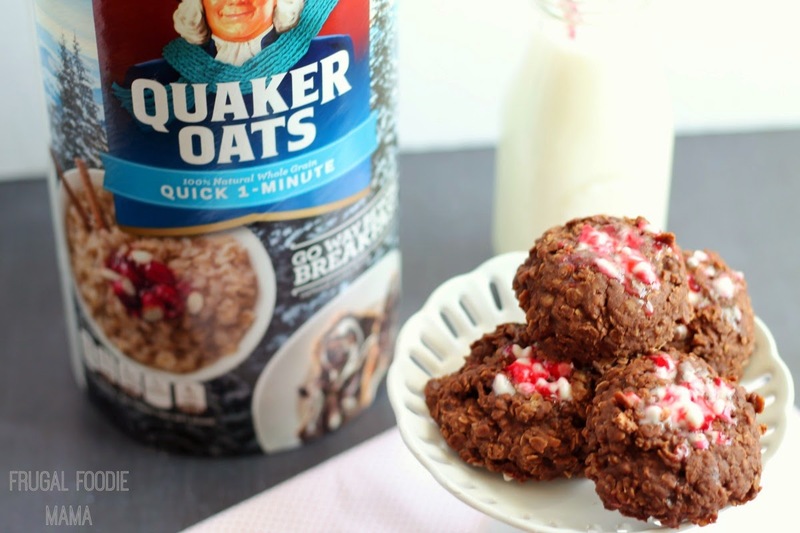 What favorite holiday flavor would you #QuakerUp and make into a no-bake cookie?